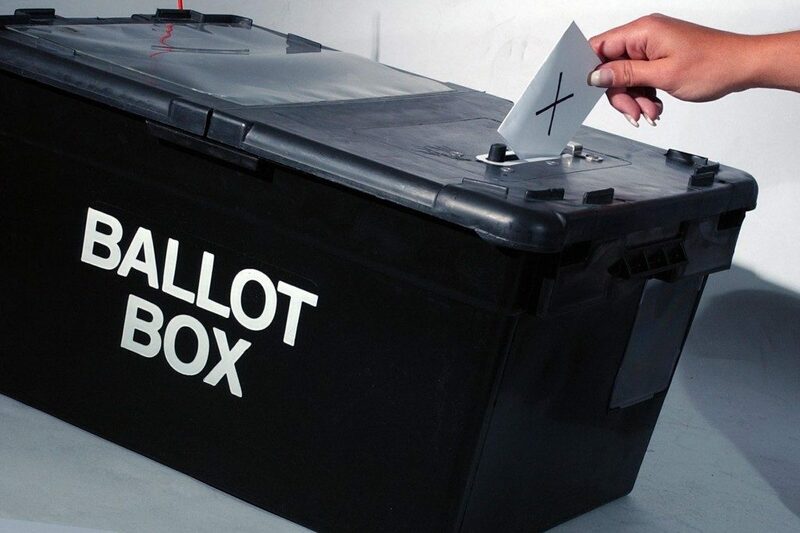 Voters in Aylsham will go to the polls on Thursday May 2 to elect their Broadland District Council representatives and Aylsham Town Council members. The polls will be open between 7am and 10pm. Votes will be counted from 9am on Friday May 3 at The Space, Roundtree Way, Sprowston. Meet the seven candidates hoping to become one of Aylsham’s three representatives on Broadland District Council. On election, following a career in HR and business, I joined Broadland District Council’s Overview and Scrutiny Committee, Wellbeing Panel and Broadland Group of Children’s Centres Partnership Board. I believe my role is to challenge for a fairer future for our whole community, staying on top of issues raised by local people. I seek and listen carefully to residents’ opinions so that I can truly represent your views. Working part-time as a volunteer with a local advice agency alerts me to the very real difficulties that some people are currently facing in their lives; I carry that experience into council meetings. I not only live in Aylsham, but I also have a life in Aylsham as an active member of U3A Photography Group, Aylsham Tennis Club and Vocalights Community Choir. The urgent priorities that I intend to tackle are housing, transport and practical support for families with young children. My wife and I have lived in Aylsham for the past 25 years and have two married daughters. I’m very proud of the town, and am a long-standing member of AylshamTown Council. I have been your district councillor since 2004 and your county councillor since 2007. At the county I have been a cabinet member and also deputy leader so I have considerable experience of local government at all levels, and I do have a particular interest in health and education. Before becoming a councillor I was a research scientist working in the UK and overseas, a university lecturer and a local science teacher. For recreation I play table tennis in the Aylsham club and I swim whenever I can. My first novel, a thriller called the Research Man, has just been published. Electing Peter Harwood will give Aylsham an experienced councillor who has served Norfolk as a town, district and county councillor. He has a long and respected record of public service, which means he knows how things work and how to get things done. Peter has a strong commitment to education and children’s social services, and is a school governor and trustee of a multi-academy trust. Professionally, he is an electronics engineer and before retiring worked for 20 years at UEA. Personally he has strong family links to Alysham. I have lived in Aylsham for nearly 30 years, starting as a teacher at the (then) middle school. For the past 11 years I have been a parish council clerk. Five years ago I joined Aylsham Town Council and have been its chairman for the past three years. Before moving here I was an archaeologist, so when the opportunity arose to volunteer at the archives in Aylsham Town Hall I leapt at the chance. I have been pleased to be involved in the development of the Neighbourhood Plan, which will hopefully come to referendum in a few months’ time. We have a wonderful collection of small independent shops and need to help them thrive. Although difficult, we must keep trying to find solutions to the traffic and parking problem in the centre. It is also important that residents on the new estates are made to feel part of the town. My wife and I have two adult daughters who attended Aylsham High, and a young son who will also attend Aylsham High in the near future. I have been incredibly proud to support the town and residents as one of your Broadland District Councillors being first elected to represent Aylsham in 2013. Between then and now I have taken up case work for individual residents and supported the town and parish councils with difficult issues. I have also served on the planning committee, service and efficiency committee, and chaired the overview and scrutiny committee which holds the council to account. I put the experience I have amassed in these roles, together with my previous career as a national negotiator and later as a business owner, to resolve issues and improve services for residents. I believe in listening to people, ensuring that residents’ concerns are put first, before bureaucracy or politics. I moved to Norfolk some years ago after retiring. My wife and step children are all Norfolk born and bred. I have been a member of the Labour Party and active on an off for the last 40 years. I became active again in the last three years as I realised that my grandchildren will not have the opportunities that I had unless we halt the destruction of communities and ongoing underfunding of vital public services by Conservative governments and councils. Being elected as district councillor would enable me to give a voice and work on behalf of everyone in the community. We need to rebuild those communities and provide the services we all deserve to enable everyone to live their lives to the fullest and contribute to the community. As your Conservative candidate in the forthcoming district elections let me introduce myself: I joined the Army from school, and served in Germany, Northern Ireland, Cyprus and Oman., after which I worked in reinsurance in the Middle East and Far East, returning to England in 2016. I am married to Alice, and we have one son, who went to school in Norfolk. I serve on the Wood Dalling Parish Council. Having spent many years living in countries which did not allow representative democracy, I regard the right to vote as both a privilege and a duty and therefore offer myself as your prospective councillor and hope that you will reward me with your vote. In return I promise to represent the views and help with the needs of all Aylsham residents and to work to ensure that they receive the best possible value for the taxes they contribute. A total of 16 candidates are seeking election to Aylsham Town Council which has 13 seats. They are: BENNETT Joan April, BENNETT Trevor John, CLARK-WARD Rodney Brian, CURTIS David Robin, EVANS Mary, HARRISON David George, LANCASTER Barry John, MARRIOTT Nick, MILLS Lloyd Ronald, OVERTON Annette Mary, PREKOPP Pat, RACKHAM Jonathan William, SHAW Valerie Ann, SPRINGALL Eileen Edith, WHITE Steve, SWEETZER Barbie. This entry was posted in Aylsham, Home Page on April 15, 2019 by Just Regional.